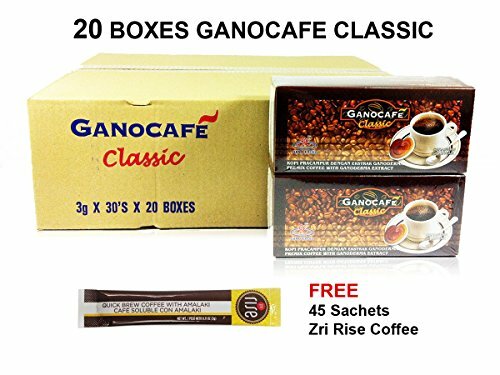 GANOCAFÉ CLASSIC is an instant black coffee blended from quality coffee enriched with Ganoderma Lucidum extract for a truly satisfying cup of coffee. Made from the boldest, richest coffee beans and provide you a rich blend of nutrition and pleasant aroma premium coffee. Its a robust black coffee and a wellness-enhancing herbal booster meeting in one powerful little packet. Bold black coffee and sustained energy for the everyday you: that's Ganocafé Classic. If you have any questions about this product by Gano Café, contact us by completing and submitting the form below. If you are looking for a specif part number, please include it with your message.